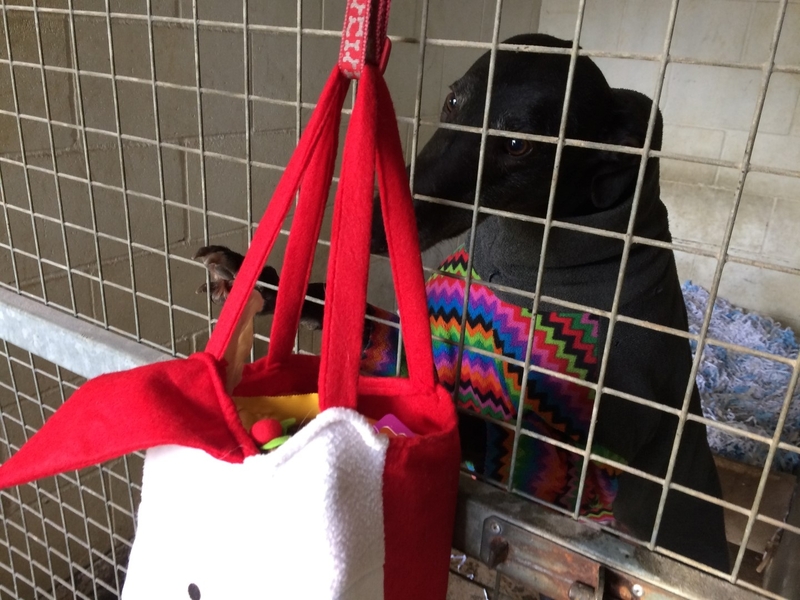 Chico, The Doctor, Naoh, Jon, Dart, Champ, Seb, Leo, Blink, Fabia, Bambi, Des, Benny, Danny, Earl, Dopey, Vic, Beagle, Magic and Angel are over the moon with their Santa sacks full of treats. Thank you for making today very special. Des (Romeo Desperado) can’t wait to see whats in his Santa Sack. 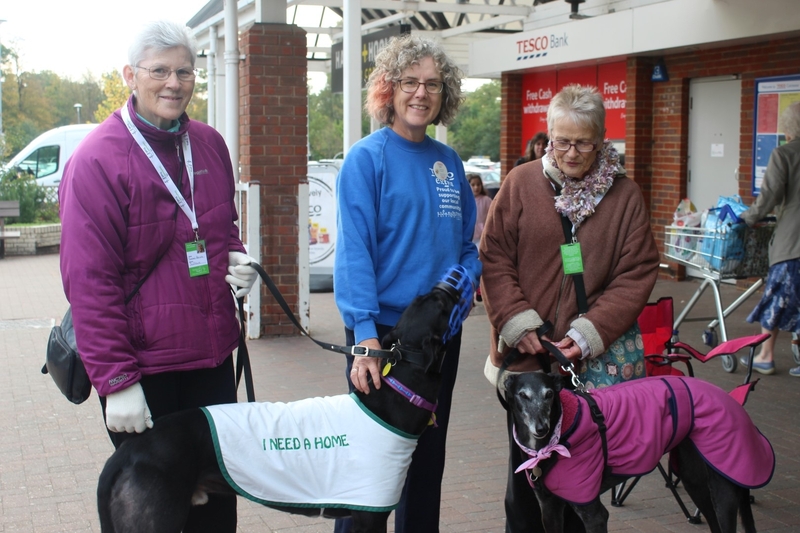 Many thanks to our friends at Greyhound Walks for their kind donation of muzzles and collars. They are much appreciated. One of the chest freezers they use at kennels to store the dogs fresh meat has finally given up the ghost. Does anybody have one they no longer need they could donate or sell at a reasonable price please? 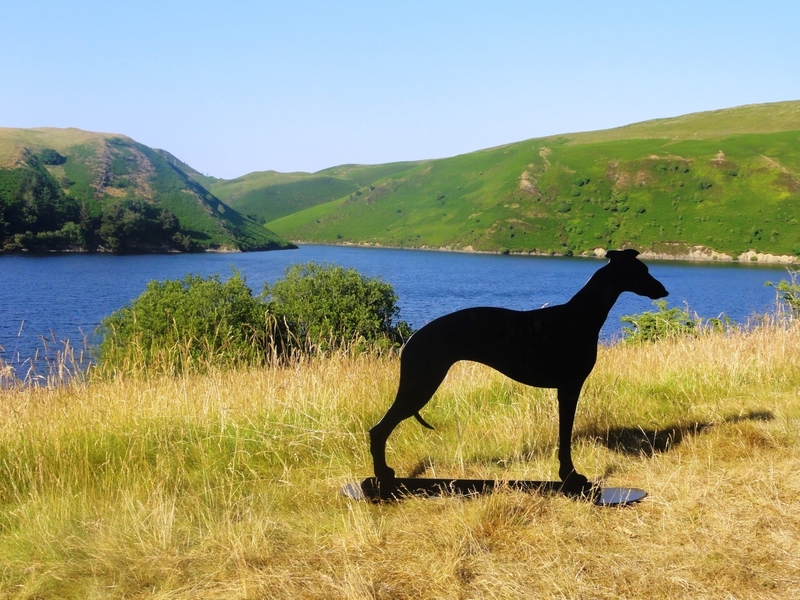 Kennels would be so grateful. Thank you. We hope this may be of interest to you, our supporters. Dominica Yannaghas is an artist based in Hadleigh Suffolk. 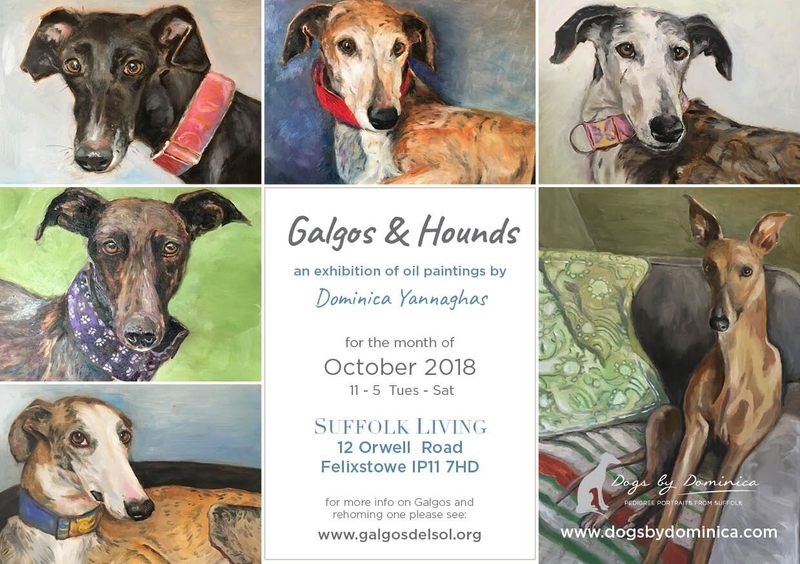 There will be an exhibition of her hound and Galgos paintings in Felixstowe throughout the month of October (Please see details on the poster). 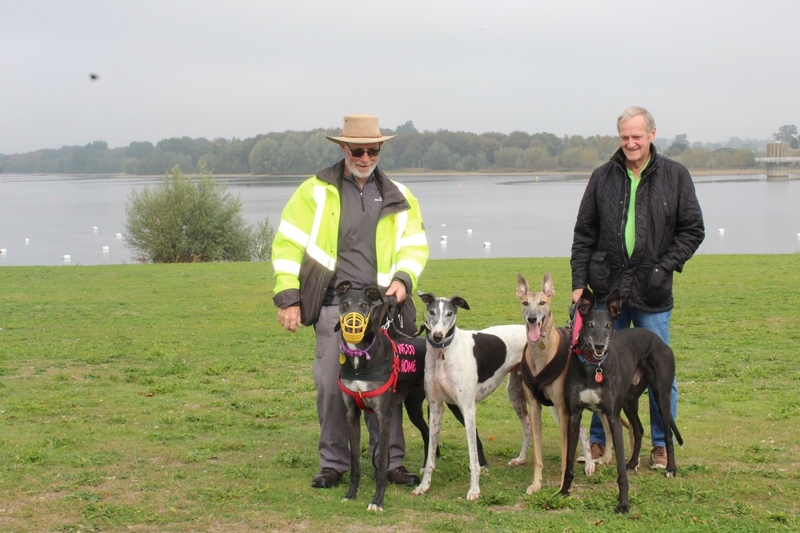 Dominica has kindly offered us a donation in return for us advertising her exhibition. 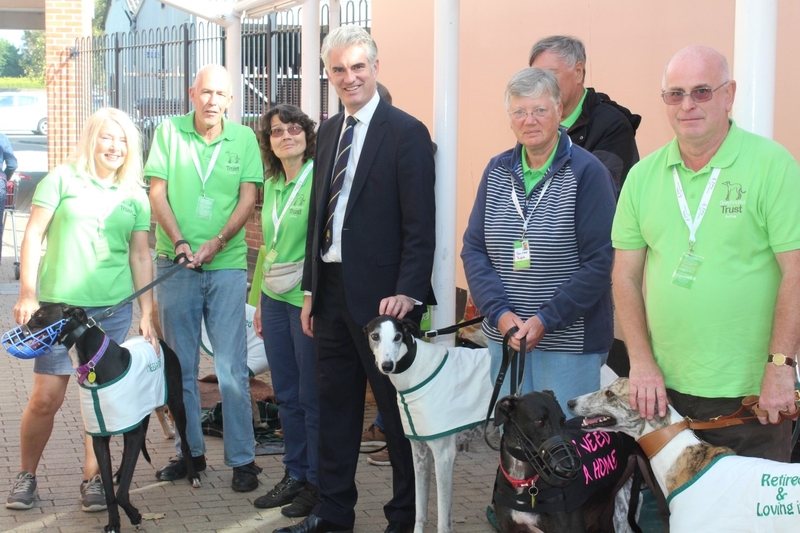 Our email address suffolk@greyhoundtrust.org.uk has been hacked. Please DO NOT use this address until the issue is resolved. Likewise please DO NOT open any email from that address. If you need to contact us please do so via telephone. Sue 01206 851360 or Avril 01473 328154 Thank you. We apologise for any inconvenience caused and will post an update to let you know when it is safe to resume email contact.